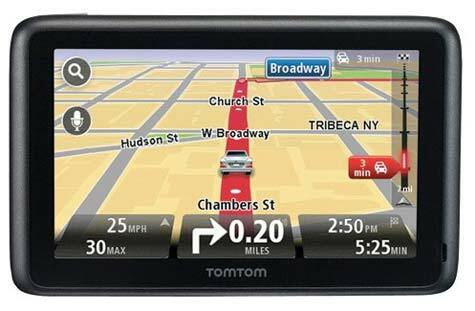 Tom-Tom which has been furnishing you with answers for locations and navigation solutions, has now released its latest navigation devices in the US- TomTom GO 2405 and TomTom GO 2505. These devices dominate the company’s copyright high-speed algorithm, guiding drivers to inspect traffic news and suggest the best possible routes. 1] Intuitive User Experience – These are the first ones to add the company’s improved user interface. It depends on an instinctive software guiding users with the proper navigation. They also encourage routing through voice recognition navigation commands. 2] Display – Its strengthy tough screen technology and vibrant display helps drivers move easily through menu screens with just a touch pf the finger of pinch-to-zoom method, so as to be able to look at the map easily. It can be fastened with the help of a click-and-lock magnetic mount which is easily docked or undocked even with one hand. Priced at $299, the TomTom GO series is currently obtained at Amazon.com, BestBuy.com and also from their official website TomTom.com; all in the US. Chances are they may be available at all retail stores by the middle of 2011.